Why waste your time filling out a complicated tax organizer? Here is an easy to print information sheet with all of the common documents needed to prepare an individual tax return. Hire a Tax Professional. I have already done the research for you. Are you considering doing your tax on a canned tax program, or going to one of the big chains? Think again. You are probably better off seeing a tax professional. I have plenty of appointments available and will give you the best service for the money. Call for an appointment or send me a message. Self-employed entrepreneurs incur many common business expenses that are fully deductible against their business income. I can help you understand which business expenses are deductible, and which are partly deductible, and what is note deductible for federal tax purposes. Call for an appointment. Determining the type of legal structure for a new business can be daunting for entrepreneurs and owners. Learn more about S Corporations and Limited Liability Companies (LLC), and decide if one of these business structures is right for you. An S corporationis operated in the same way as a traditional C corp. An S corp. must follow the same formalities and record keeping procedures. The directors or officers of an S corp. manage the company. And an S corp has no flexibility in how profits are split up amongst its owners. The profits must be distributed according to the ratio of stock ownership, even if the owners may otherwise feel it is more equitable to distribute the profits differently. * The self-employment tax rate for 2011 is 13.3% (10.4% for social security and 2.9% for Medicare). For self-employment income earned in 2010, the self-employment tax rate is 15.3%. The rate consists of two parts: 12.4% for social security (old-age, survivors, and disability insurance) and 2.9% for Medicare (hospital insurance). A word of caution: Certain nuances of S corp taxation can be confusing to some LLC owners, especially do-it-yourselfers and/or those who prepare their own tax returns; for example, an LLC owner might easily make the mistake of referring to an that addresses LLCs when, in fact, such a publication would not apply to an LLC that is taxed as an S corp–and such an error could lead to negative tax consequences. It is therefore highly recommended that you consult a CPA or other qualified tax professional for advice and/or assistance. 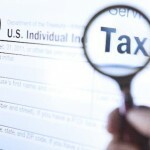 Caution: Do not use these tax rate schedules to figure 2011 taxes. Use only to figure 2012 estimates. Married filing jointly If you are married, you are able to file a joint return with your spouse. If your spouse died during the tax year, you are still able to file a joint return for that year. You may also choose to file separately under the status “Married filing separately”. Head of household This is the status for unmarried individuals that pay for more than half of the cost to keep up a home. This home needs to be the main home for the income tax filer and at least one qualifying relative. You can also choose this status if you are married, but didn’t live with your spouse at anytime during the last six months of the year. You also need to provide more than half of the cost to keep up your home and have at least one dependent child living with you. Married filing separately If you are married, you have the choice to file separate returns. The filing status for this option is “married filing separately”. A dependent is someone you support and for whom you can claim a dependency exemption. In 2012, each dependent you claim entitles you to receive a $3,800 reduction in your taxable income (see exemptions below). You may also receive a tax credit of up to $1,000 for each dependent child under the age of 17. The credit is, however, phased out for at higher incomes. Each exemption you claim reduces your taxable income by $3,800 for 2012. You receive an exemption for yourself, your spouse and one for each of your dependents. This calculator assumes that all of your long-term capital gains are taxed at either 0% or 15%. The tax is 0% for the portion of your gain that would have been taxed at 15% or lower tax if it were a short-term gain. The tax is 15% for any of your capital gain that would have been taxed at a rate higher than 15% if it were considered a short-term gain. Capital gains were scheduled to increase in 2012, however the “Tax Relief, Unemployment Insurance Reauthorization, and Job Creation Act of 2010” left them at their existing rates shown above. For more information on capital gains tax rates and how they are applied, you may wish to read IRS Publication 17: Your Federal Income Taxes. Any income or loss as reported on Schedule C.
This is the total federal income tax you owe for 2012 before any tax credits. This is the total federal income tax you will need to pay in 2012. Any other taxes that you owe for 2012. This includes self-employment tax, alternative minimum tax, and household employment taxes. Grand total of your 2012 federal tax bill. Total of all tax payments made in 2012. This includes tax withheld from Forms W-2 and 1099, and estimated taxes paid, earned income credit and excess social security tax withheld. For 2012, medical expenses can be deducted (as an itemized deduction) only to the extent that total out-of-pocket expenses exceed 7.5% of adjusted gross income. Starting in 2013, this threshold is 10%. This was one of the many tax-related provisions in the health care reform package passed back in 2010. There’s a wide variety of expenditures than can qualify for the medical tax deduction, including health insurance premiums for individual coverage (that is, not through an employer’s group plan), co-payments for prescription medication and doctor’s visits, dental care, and eye care. Some additional medical expenses that can be deducted: travel to and from medical care, hearing aids and laser surgery to correct vision. A full list of expenses that qualify for the medical deduction in found in Publication 502 on the IRS Web site.